Tree-lined paths. Bracing air. Cloud-shrouded views. 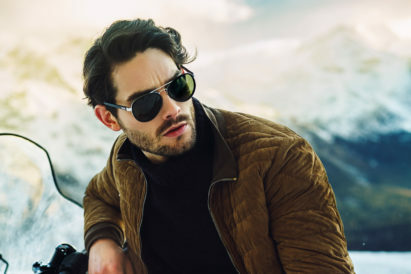 There’s really nothing better to blow the cobwebs away than a brisk winter walk — well, except for the pub lunch waiting for you at the other end. 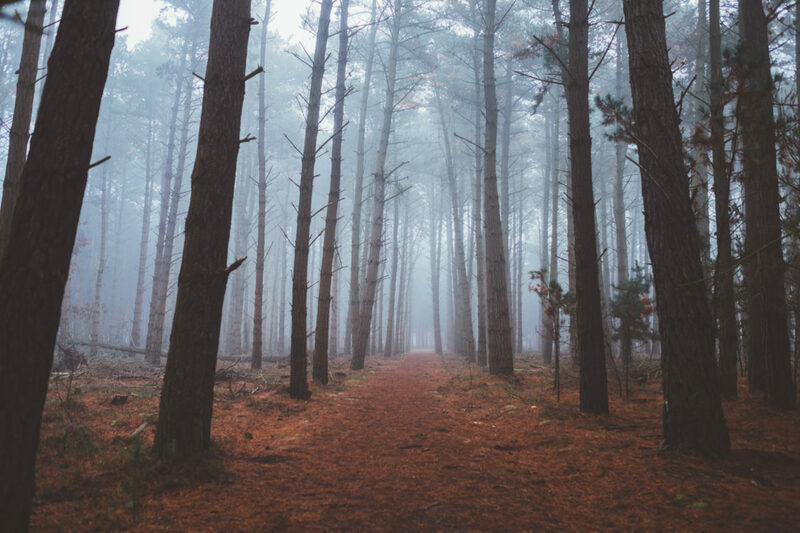 For a great Sunday adventure, lace up your hiking boots, find a good British forest and get lost. It’s a sure fire way to get closer to nature, enjoy some peace and quiet, and get some exercise, too. 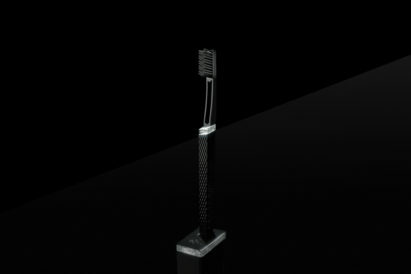 But, with all those errant roots and hidden hillocks, you need to be well prepared. 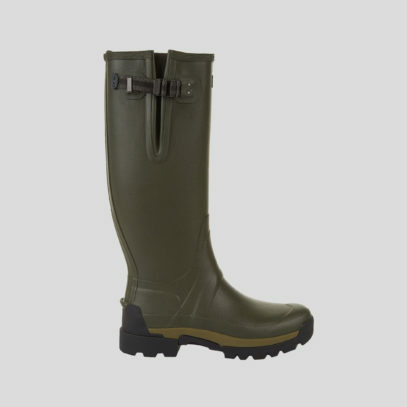 With their exclusive ‘Deep Forest’ sole, developed in partnership with Michelin, these boots from Le Chameau are ultra-lightweight and ready for any terrain. 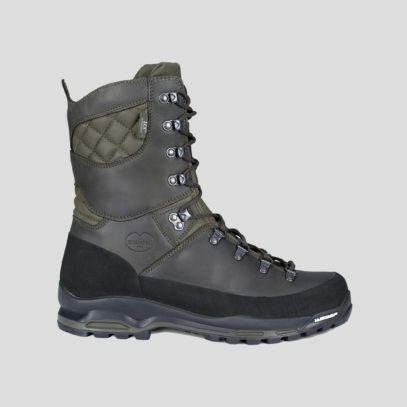 The North Face, too, feature a ESS Snake Plate™ for underfoot protection. 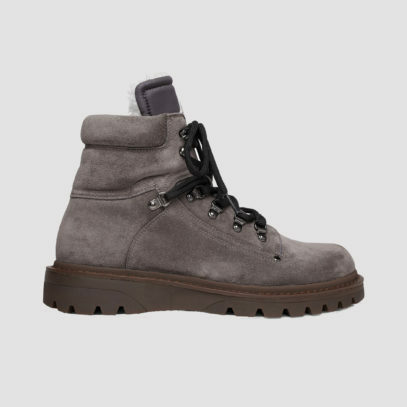 Or, for a more style-conscious hiker, Ralph Lauren’s Fidel boots are a practical vision in suede. 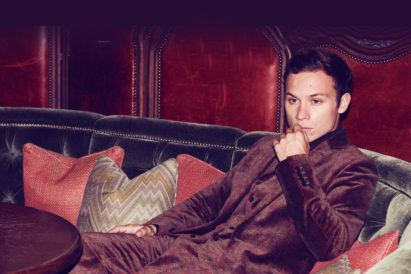 Of course, it’s not all about in-land adventuring. 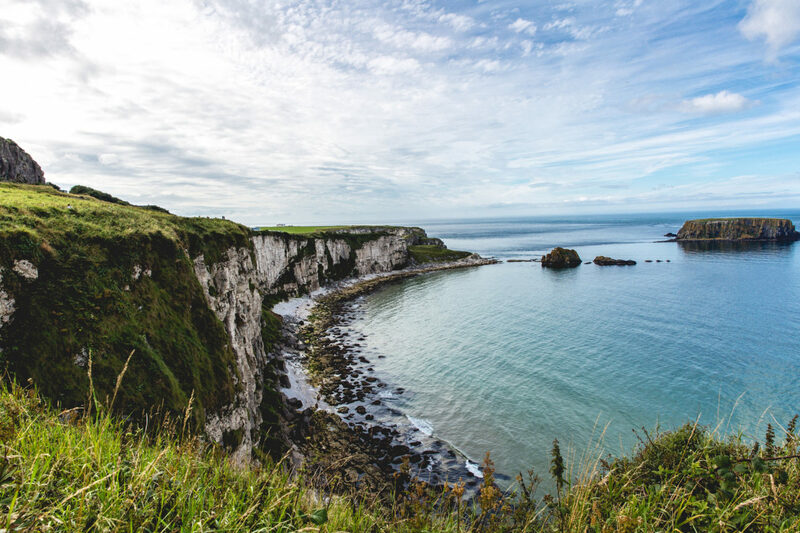 Some of the most spectacular views in Britain can be found on our coastlines — such as the above in Northern Ireland. But walking by the sea brings soggy, sodden challenges of its own. That is, unless you have the right footwear. 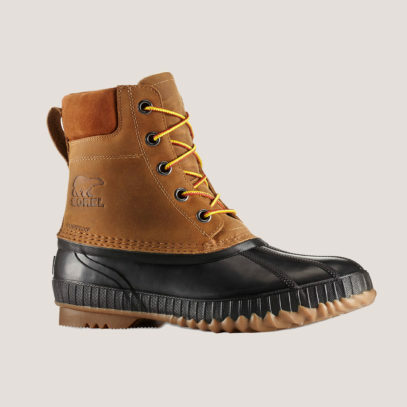 Waterproof hiking boots are often the most striking. 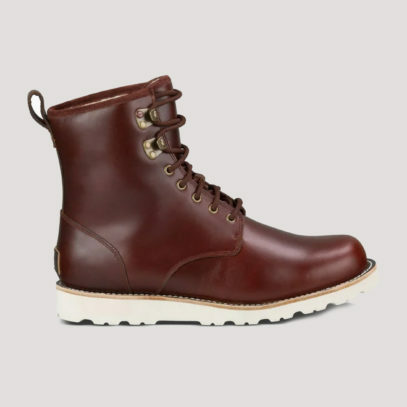 These Hannen Tall Boots from Ugg, are crafted from a vivid red leather, and seam-sealed with waterproof materials. 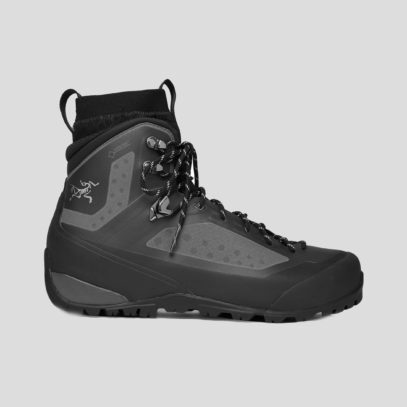 Arc’Teryx have also thrown their boots into the ring, GORE-TEX ‘Bora’ lace-ups that are both water and wind proof. 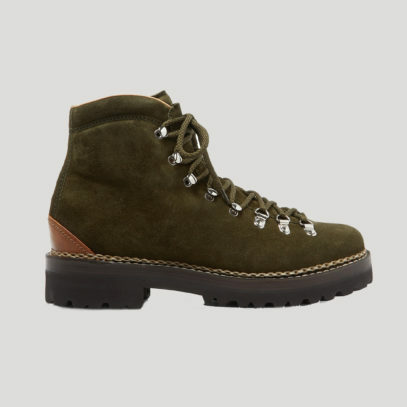 Or, for a real adventurer’s look, Sorel’s Cheyanne II Boots boast a hugely reliable vulcanised rubber shell. 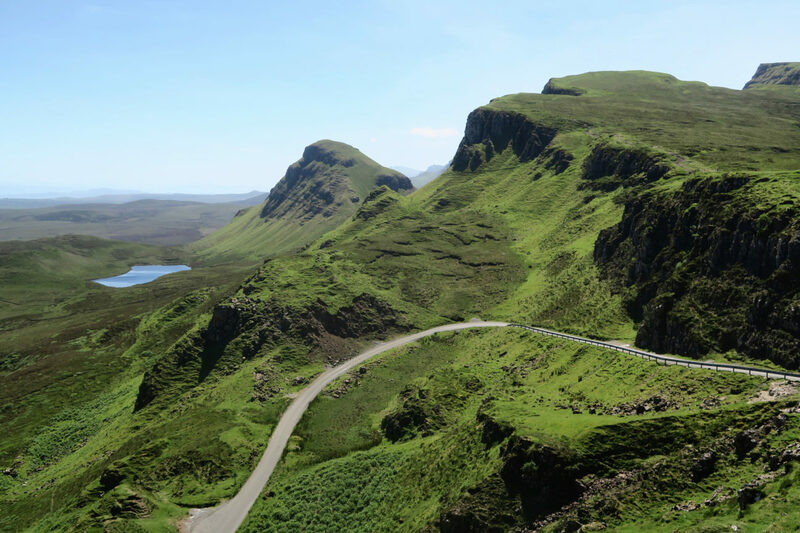 Despite the Alps being just a Channel-hop away, we have some stellar mountains in Britain as well — such as this landslip on the eastern face of Meall na Suiramach, on the Isle of Skye. 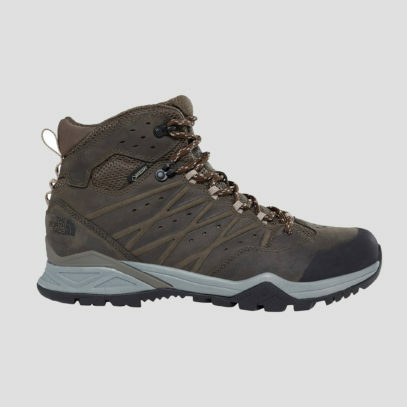 But, with mountain walking anywhere in the world, it’s all about getting a pair of boots with a flexible sole — to negotiate any rocky crags or ridges. 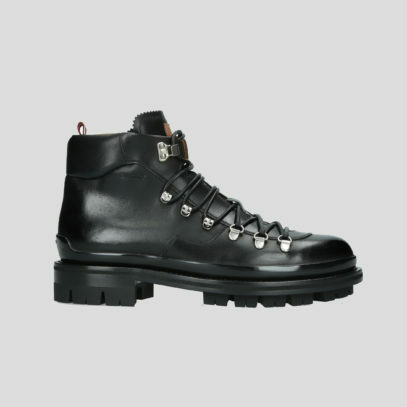 Modelled on classic hiking styles, Moncler’s Egide boots have rubber lug soles for grip on such wet or uneven surfaces. 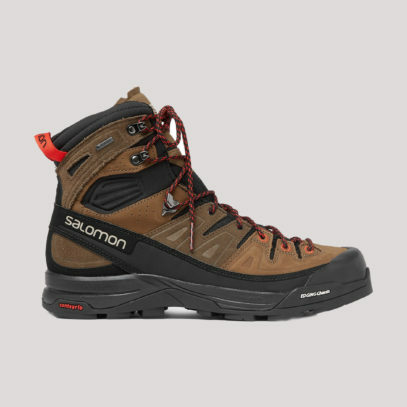 Salomon’s OrthoLite midsoles offer long-lasting cushioning and support, and Dr Marten’s pleasingly stylish 1460 Smooth boots also boast rubber lug soles to keep you stable on icy patches. 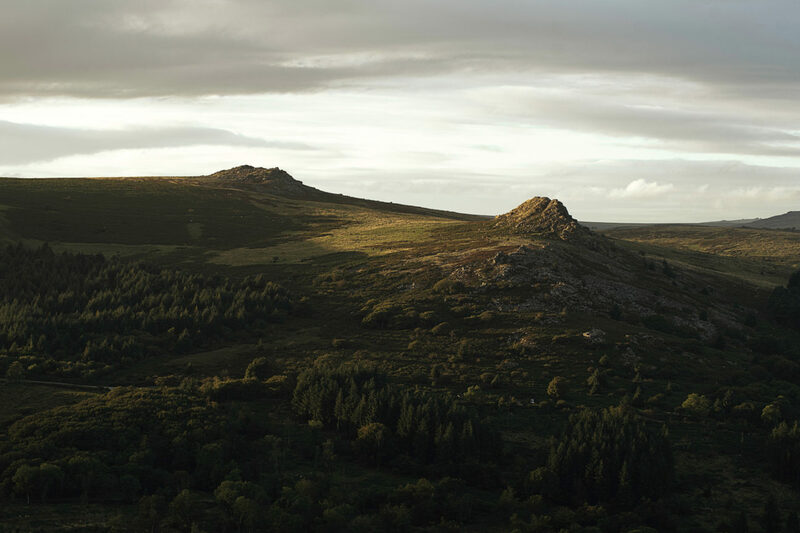 From Yorkshire to Dartmoor, we’re not short on moorland here in Britain. But, although you may think it desolate and depressing, there’s something pleasingly relaxing about these placid plains — especially if you have boots rugged enough to properly explore them. 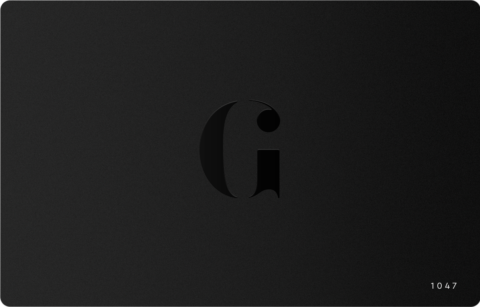 To that end, turn once again to Le Chameau. 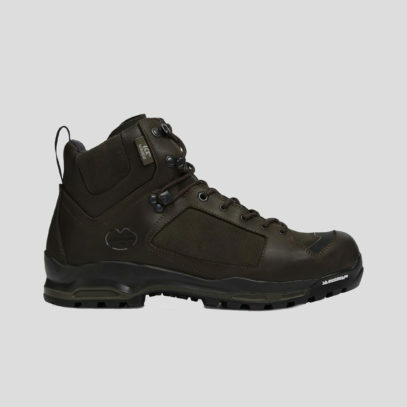 These stalking boots, with a tighter fit and multi-layer Le Chameau LCX® Technology, offer that level of protection — but retain their ultra-lightweight composition. 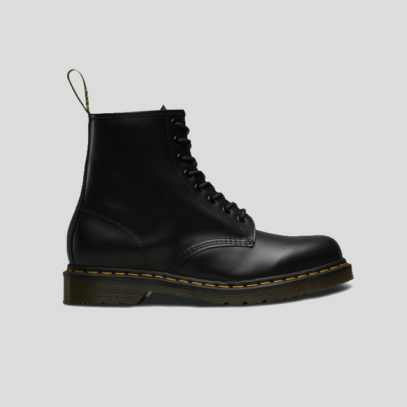 Bally, too, have created a boot with sturdy traction and a cleated rubber sole. 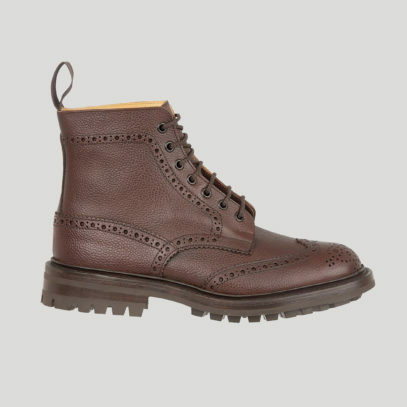 But it’s Tricker’s Brogue Boots that perfectly bridge the gap between practical and formal; the perfect boots for your next shoot. Although our snowfalls may be few and far between, there’s nothing like a traipse in freshly-fallen powder to really wake you up. 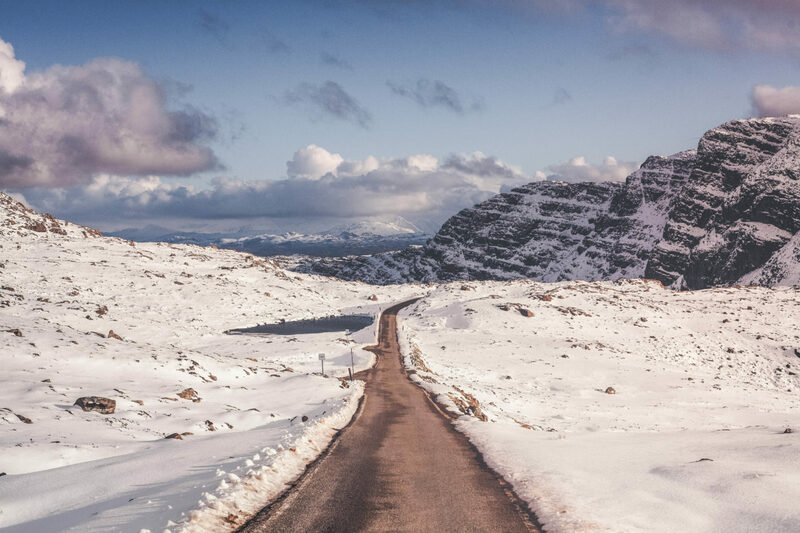 So, next time the snow drifts down from the sky, make for the highest point you know — such as the above in Strathcarron — for a white-out trek. But remember to keep warm. 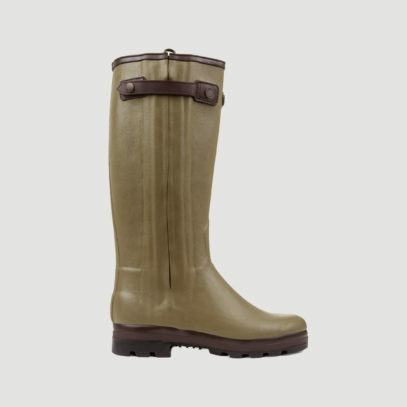 Le Chameau’s Chasseur Prestige Leather-lined boots are handcrafted from durable and supple Kevlar-strengthened Chamolux rubber and available in a choice of 4 calf fittings for an optimum fit. 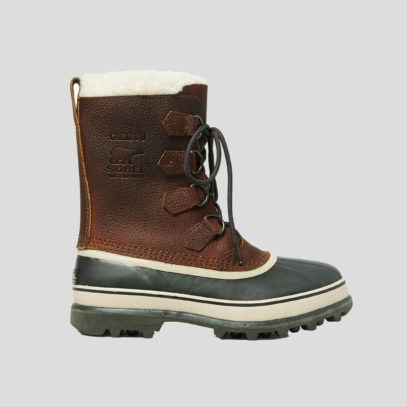 Hunter’s Balmoral boots are lined in soft bamboo fibres for comfort, and Sorel’s snow boots have removable wool InnerBoot linings with Sherpa Pile™ cuffs to keep you comfortably warm.